Algeria’s Victory day is observed every year on March 19, to honor the sacrifices of our people and fallen heroes who laid down their lives in service to our nation during the Glorious War of Independence. 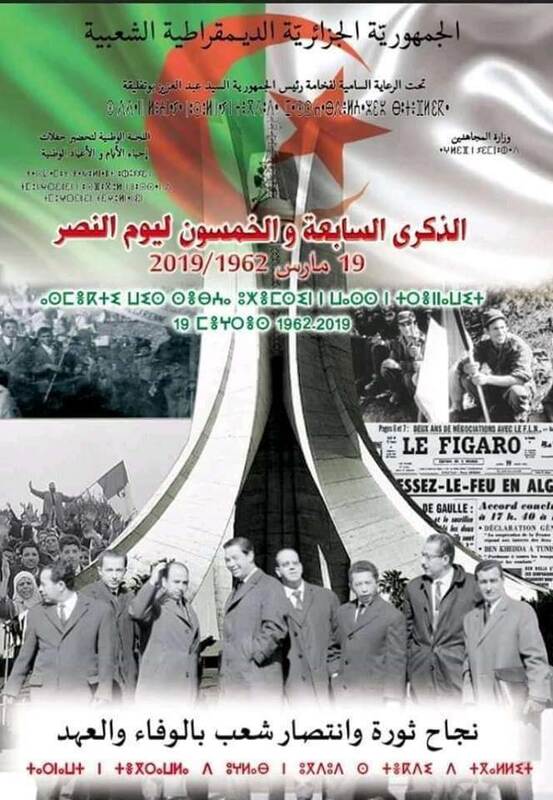 In commemoration of the 57th anniversary of this day, the Consul Generalof Algeria along with the Consulate General team would like to extend their best wishes of further progress and prosperity to our beloved country and more success and achievements to our dear community. إحتفالا بالذكرى 57 لعيد النصر و الذي يصادف 19 مارس من كل سنة، يطيب للسيدة القنصل العام للجزائر بنيويورك الى جانب طاقم القنصلية العامة أن تتقدم بالتهاني الخالصة لأفراد الجالية الجزائرية خاصة و لكافة الشعب الجزائري الأبي متمنية كل الازدهار و الرقي لبلدنا الغالي الجزائر. عاشت الجزائر حرة مستقلة والمجد والخلود لشهدائنا الأبرار.